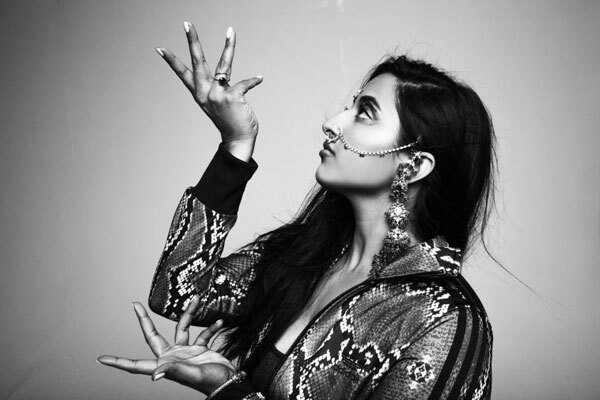 MUMBAI: Cross-cultural powerhouse and Grammy Award-nominated songwriter Raja Kumari releases an inspired new single today, “I Did It”. The video has been shot by the multi-talented American director, video editor and filmmaker Matt Alonzo and features Raja Kumari dancing to a mix of Indian ethnic dance forms with hip hop. The new single continues Raja’s quest to assert the values of her culture with her visionary melding of West coast swag and Desi daring. “I Did It” peels back the curtain on her fearless ascent with potent authenticity. To put it simply, Raja gets it done. Says the artist about her self-esteem boosting anthem: “I have always had to Fight for my art. Instinct, Faith and Perseverance have been my greatest weapons. ‘I Did It’ is an anthem written to remind myself that I can do anything that I set my intention on. It's a song about believing in yourself at all costs while finding a way to stay authentic to who you are”. Raja Kumari has made That ferocity of spirit is evident in her rapid-fire rapping style and innate melodic sense that has enriched both her Indian leanings and knack for crafting global pop refrains via award winning songwriting collaborations with noted stars such as Gwen Stefani, Fall Out Boy, Iggy Azalea, Fifth Harmony and more. But it’s been her major label debut EP, The Come Up, available at all digital retailers that has catapulted her into what Rolling Stone hailed as a ‘new narrative’ in hybrid hip hop. The infectious collection serves as the perfect introduction to her soaring signature style. Among favorites like Meera, it also features the impressive, airtight rhyming and hypnotic melodies of “City Slums” (feat. DIVINE)—which has racked up 7.3 million-plus YouTube views to date, and more than 269K Spotify streams. The sweeping video was shot in the impoverished sections of India’s largest city of Mumbai, where the country’s vibrant hip hop movement has emerged from the gullies to mark its stamp on the global music scene. Raja extended her stay in the complex city, drawing insightful parallels to Mumbai-bred street anthems and New York and LA’s early hip hop scenes. She’s become a vocal champion of the movement and its homegrown expressions of angst and self-determination. Raja Kumari made her initial impact on pop music as a sought-after songwriter and creative force behind Fall Out Boy’s multiplatinum smash Centuries, Iggy Azalea’s Change Your Life [feat. T.I. ], Fifth Harmony’s “Like Mariah” [feat. Tyga], and numerous anthems for Gwen Stefani (Red Flag, Naughty) and earned a 2015 Grammy nod. Emerging as a disruptive force in hip-hop, her video profile with Complex and Uproxx was one of the most watched on the site, a showcase of Raja’s story of her own true Come Up. MUMBAI: Let the spirit of Holi discover the crazy side of your loved ones and you as Imagica, India’s favorite entertainment destination, invites you to Imagica Holi Bash. MUMBAI: For its sixteenth edition, Red Bull BC One, a global celebration of Hip Hop, travels to the colourful country of culture and dance, India. MUMBAI: Percept Live the creators of Sunburn, Asia's biggest music festival, unveiled its plans for the third edition of the 'Bollyboom Holi Bash 2019'.